Again, I'm not happy with the lighting--I really need to get educated on how to take better pictures! Thanks so much for stopping by! It's Papertrey Ink's Make It Monday time again! Two weeks in a row I'm participating--I'm amazed, LOL! This week is #313, Mask & Stack, with Betsy Veldman. This is a technique I haven't used in a long, long time and it was SO fun to do! 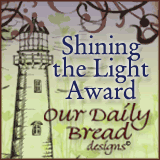 I can hardly believe I'm posting to my blog again! It's been so long. I have missed it! For my first card in forever, I'm playing along with this week's Make It Monday from Papertrey Ink! Framing sentiments and/or images is the challenge. I made a birthday card for a wonderful woman using PTI's Big & Bold Wishes stamp set, along with all PTI paper, a frame, and some embellishments. I hope you like it! Papertrey Ink March Blog Hop! And took about 25 photos trying to get the "glossy" to show! Man, that was challenging! Happy hopping, and thank you for stopping by my late entry! 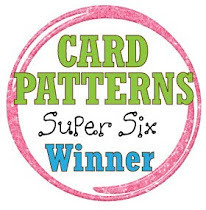 Supplies: I forgot to keep track, but I know there is PTI paper, Jenni Bowlin paper, Beautful Blooms and Sending You dies, a Sizzix embossing folder, um . 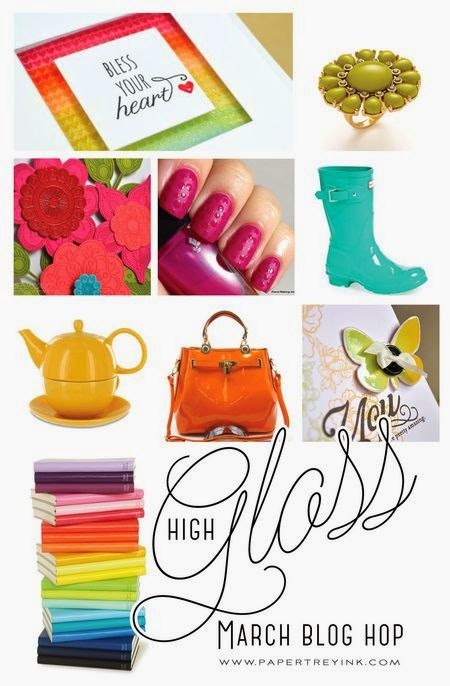 . . Filigree Clear Embossing Powder, and Crystal Effects! 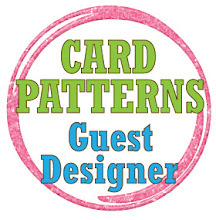 Aren't MFT's washi tape dies and patterns SO much fun? I can't wait to use them again! 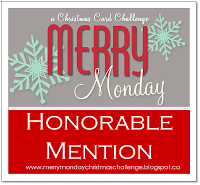 ***I want to say thank you to the gang at Merry Mondays for choosing my card (here) as an honorable mention for last week's challenge! What a welcome! They sure know how to get me to come back and participate again, LOL! 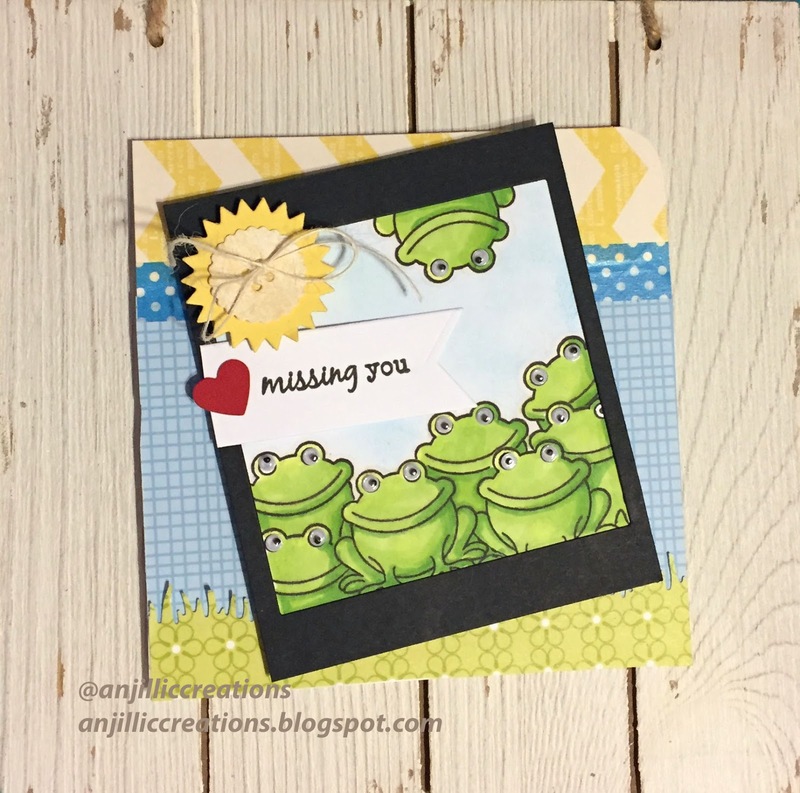 I'm back today with a card for another new-to-me challenge. 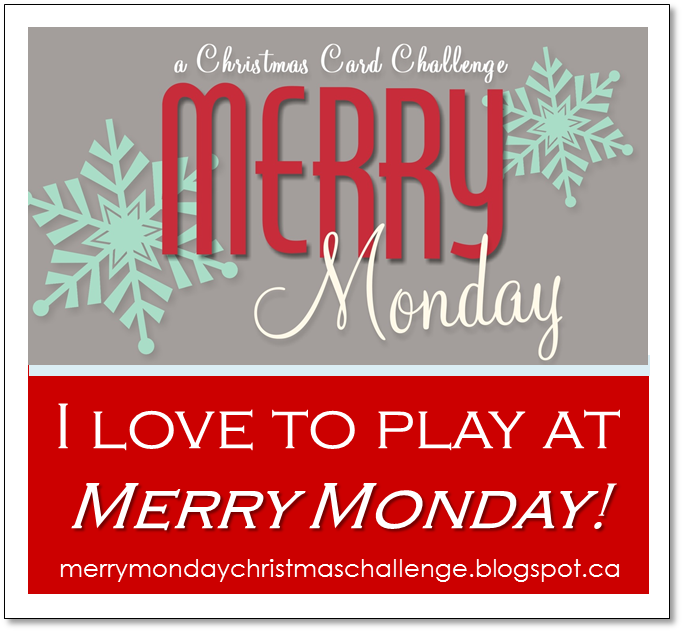 Merry Monday is a challenge blog that calls for a Christmas card every week. What a great idea! I would love to enter this year's Christmas season ahead of the game for once! So, I thought I'd try to play along at least once a month. 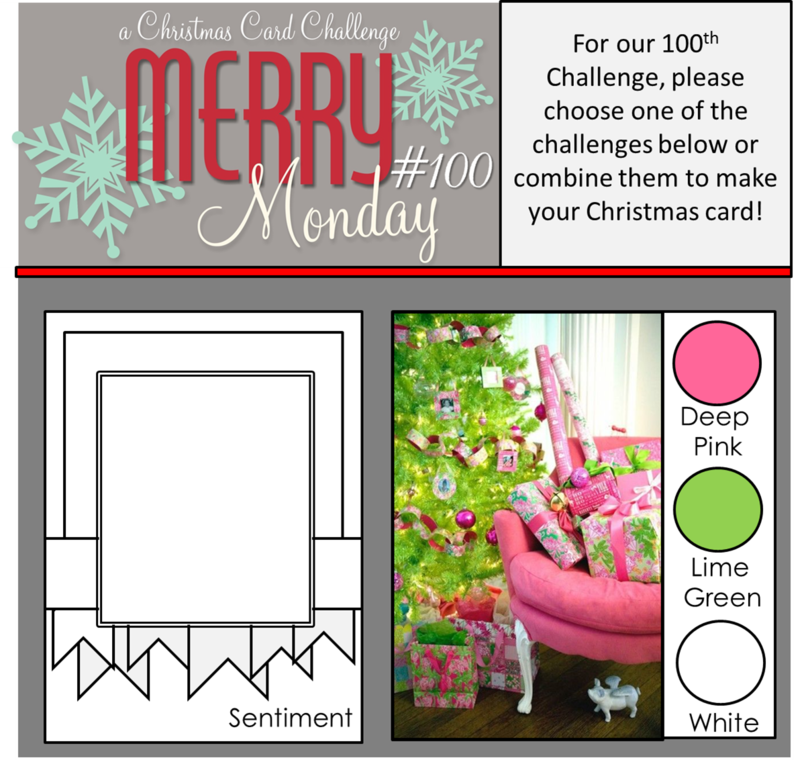 I absolutely loved the colors for this week's 100th challenge and enjoyed making my first Christmas card of 2014! 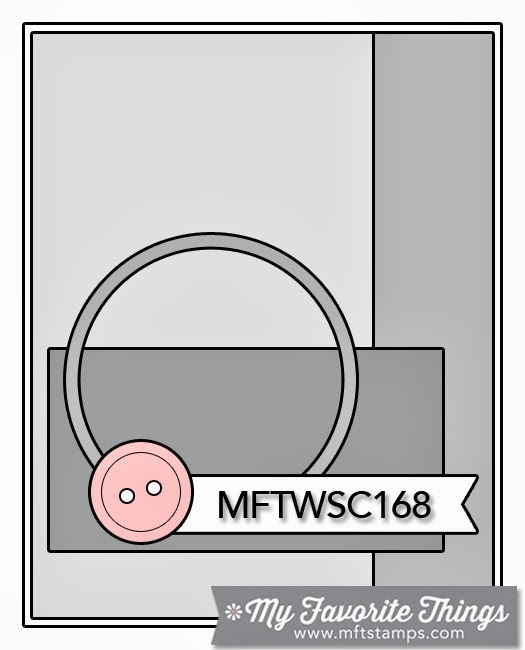 Kind of boring, I see now, but I plan to add an inside sentiment when I know who this card is for. 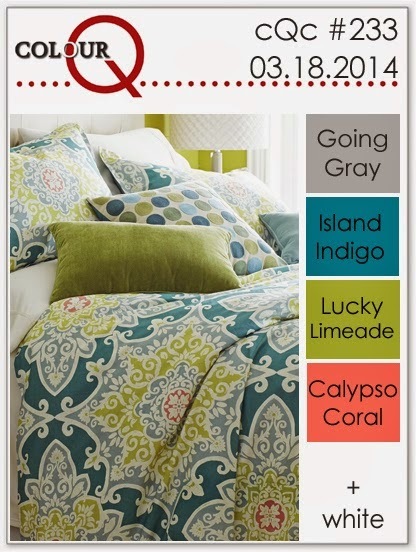 Thanks so much for stopping by my blog today!